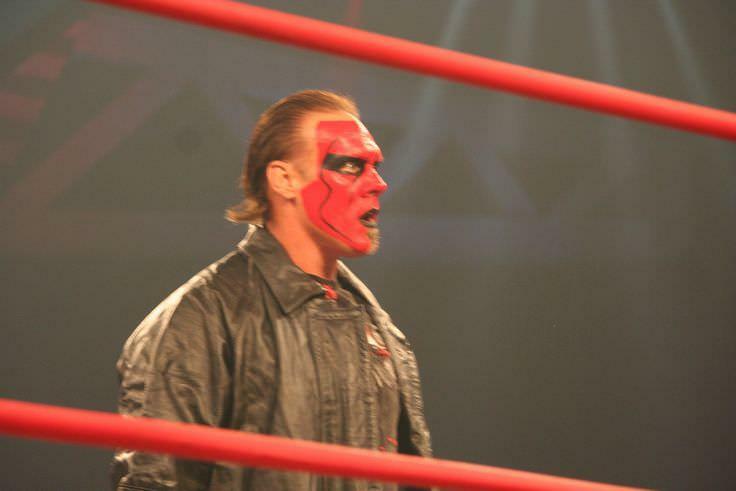 Sting competing at en:Lockdown (2007). en:St. Charles, MO, en:April 15en:2007. Steve Borden is a professional wrestler who is better known by his stage name “Sting”. He is also a former bodybuilder. Sting is considered one of the WWE’s greatest wrestlers. He originally started out under the stage name “Flash”. He held numerous professional wrestling championships and quickly became a fan favorite. He appeared alongside Chuck Norris on an episode of “Walker, Texas Ranger”. Steve was born in Nebraska but moved to California where he successfully ran a Gold’s Gym. After attending a WWE match where he saw Hulk Hogan and Andre the Giant perform, Steve decided to give professional wrestling a chance. Kevin Nash (left) and Sting (right) during a taping of WCW Monday Nitro from Minneapolis, Minnesota in 1998. This was a poloroid of Sting and a fan. Cropped to take out the fan and the background. 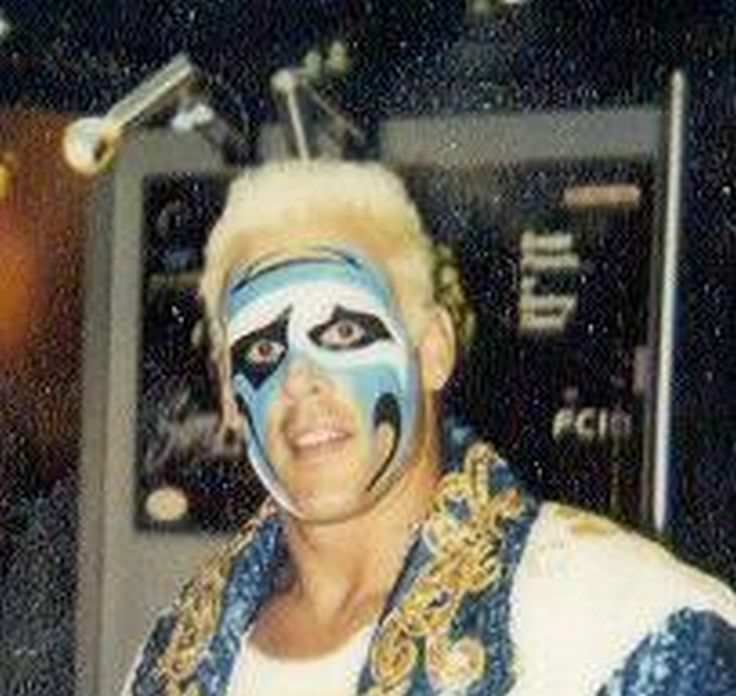 Sting, without his make up of the time, after a taping of WCW Monday Nitro from Minneapolis, Minnesota in 1998. The cover of a book written by Steve "Sting" Borden. Steve Borden is a famous Professional wrestler, who was born on March 20, 1959. As a person born on this date, Steve Borden is listed in our database as the 4th most popular celebrity for the day (March 20) and the 17th most popular for the year (1959). People born on March 20 fall under the Zodiac sign of Pisces, the Fish. Steve Borden is the 178th most popular Pisces. Aside from information specific to Steve Borden's birthday, Steve Borden ranks 30th in famous people born in Omaha, Nebraska, U.S. In general, Steve Borden ranks as the 2305th most popular famous person, and the 48th most popular wrestler of all time. “The Famous Birthdays” catalogs over 25,000 famous people, everyone from actors to singers to scientists to serial killers and more. If you're curious to see who was born on your birthday, you can use our database to find out who, what, where, when and why. You can search by birthday, birthplace, claim to fame or any other information by typing in the search box, or simply browse our site by selecting the month, the day, the horoscope, or any other clickable option. 30th born in Omaha, Nebraska, U.S.